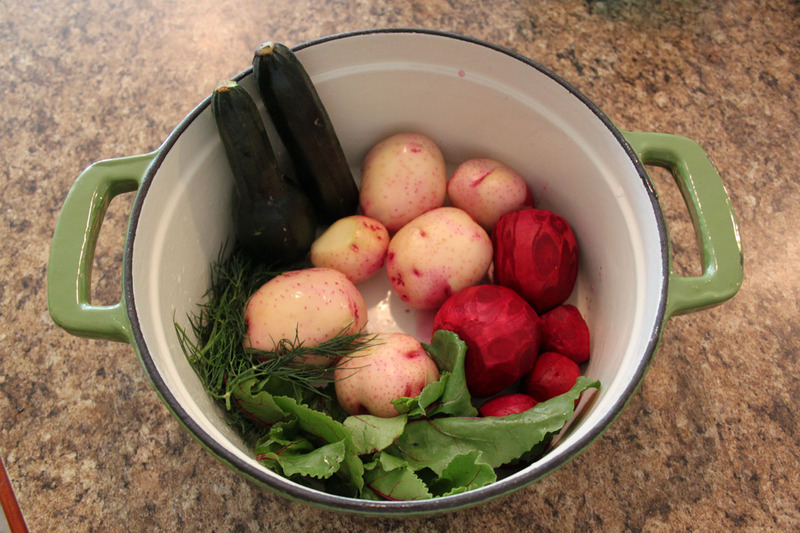 Oh how I love this time of year when I can walk into my back yard, pick some yummy fresh vegetables, and make dinner. Yesterday we snitched fresh red potatoes (I didn’t even peel them, just scrubbed them with a brush and the skins came right off. 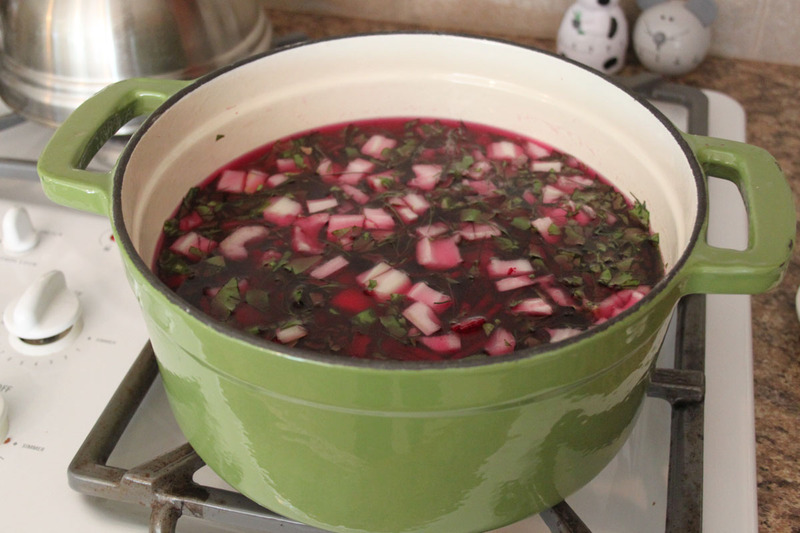 ), beets and beet leaves, zucchini, and dill to make a borscht soup. I also had some bok choy we added from our CSA that we joined this year. Oh my it looked good getting ready to boil it in my dutch oven. 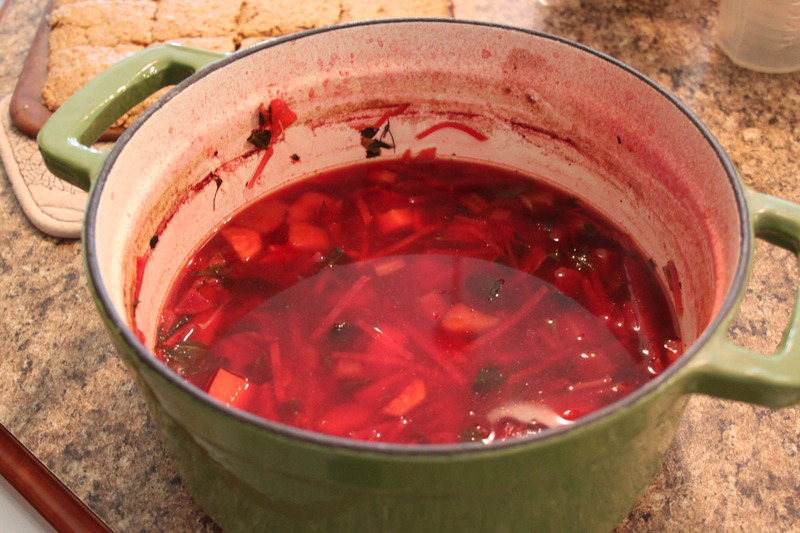 It smelled so good that we ate before I remembered to take a photo of the finished soup. It was simply delicious. Are you eating fresh vegetables right now? This entry was posted in Healthy Eating by Karen Grosz. Bookmark the permalink.